DENVER (November 13, 2018) – Stakeholders in agriculture sustainability will hear from the nation’s leading beef sustainability group, the U.S. Roundtable for Sustainable Beef (USRSB), at the 2018 Sustainable Agriculture Summit November 14-15 in Denver. The presentation, In the Hot Seat: U.S. Roundtable for Sustainable Beef Confronts Criticism of its National Beef Sustainability Framework, will look at the draft USRSB Sustainability Framework, public comments to the Framework and USRSB’s responses. The purpose of the Framework is to establish a set of resources for companies and operations in the value chain to assess their individual sustainability. The presentation will be moderated by Kim Stackhouse-Lawson, Ph.D., the USRSB Chair and Director of Sustainability for JBS USA. Panelists include USRSB members: Gary Bates, Ph.D., Professor and Beef Forage Center Director, University of Tennessee; Chad Ellis, Industry Relations and Stewardship Manager, Noble Research Institute; Nancy Labbe, Senior Ranching and Conservation Program Officer, World Wildlife Fund; Rob Manes, Director, The Nature Conservancy-Kansas; and Brad White, DVM, Professor and Beef Cattle Institute Director, Kansas State University. 11-13-18 NCGA: Tell Congress: Pass the Farm Bill Now! NCGA: Tell Congress: Pass the Farm Bill Now! Time is running out for Congress to pass a Farm Bill before major programs lapse at the end of the year. Adjourning for the year without passing a new bill will leave farmers without the safety and stability needed in this time of low prices, falling farm incomes, and trade uncertainty. With only a few joint legislative days left, farmers need Congressional leaders to compromise on a strong, bipartisan, Farm Bill now. Tell Congress to get it done! With farmers in many states experiencing harvest difficulties due to weather, the National Corn Growers Association has extended the deadline by which National Corn Yield Contest entrants must report by ten days to Nov. 26. This additional time is to allow entrants who have had to delay harvesting because of the unfavorable conditions a chance to fully participate in this exciting contest. To complete, entrants will upload weigh tickets and a yield calculation worksheet that details the number of rows harvested and length of each pass. Prior to upload, both documents must be signed by the contest supervisor. A tutorial video is available online. BERTHOUD – David Nettles, P.E., has been named to the Northern Water Board of Directors and Municipal Subdistrict Board of Directors as a representative from Weld County. He replaces Kenton Brunner, who left the board in September after 24 years of service. Colorado State University will host Roberta Schweitzer, Ph.D., R.N., FCN. Her clinical specialty is in rural community mental health promotion. Denver, Tuesday, November 13, 2018 – The American Red Cross has launched First Aid for Opioid Overdoses – an online course to teach people how to respond to a known or suspected opioid overdose. Let us fill you in on a little secret. We love our customers! We value local input from farmers, ranchers, and foresters, like you. One way we facilitate the connection between the producers we serve and the programs we administer is through the USDA Farm Service Agency locally-elected county committees. 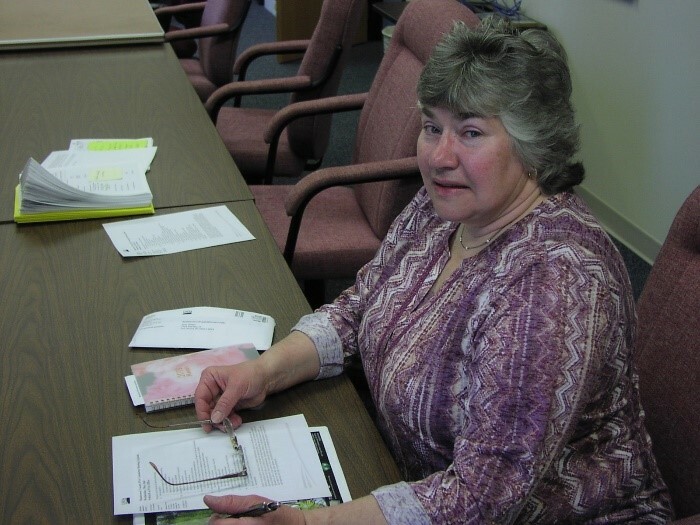 “It is so important to have farmers willing to serve on their county committees to share their experiences and offer different perspectives so committees can make informed decisions,” said Terri Wilfert, a member of the Manitowoc County, Wisconsin, Farm Service Agency County Committee. Terri was elected to her committee in 2010 and currently serves as chairperson. A variety of people have made major impacts over the years to help support the vision of making the Cache la Poudre River an excellent example of a “healthy working river,” and the Poudre Runs Through It Study/Action Work Group would like to again recognize one of those key contributors. The PRTI is seeking nominations for its “Poudre Pioneer Award,” and will recognize the honoree at the Poudre River Forum on Feb. 1, 2019, at the Drake Centre in Fort Collins. Each year, the Forum brings together those who farm on the Poudre, drink beer from the Poudre, and advocate for Poudre health to learn from one another and to explore how we might move from conflict to collaboration in regard to the Poudre. Centennial, CO — The Colorado Farm Bureau and the Denver Business Journal today announced a call for nominations for the first-ever Who’s Who in Colorado Agriculture recognition. The new program seeks to highlight excellent leaders within the agriculture industry, whose position, knowledge or expertise helps guide the sector in Colorado.